The Robocop remake has yet to begin filming, yet the marketing blitz has already begun. A website for Omnicorp, a fictional megacorporation that features prominently in the films plot, has launched. 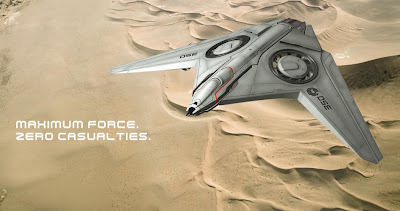 It comes equipped with a faux commercial titled “Omnicorp Product Line.” The ad trots out three of the company’s latest innovations: The Enforcement Droid Series 209, the XT-908 Harrier Drone, and the RC2000. All three of these war machines have been programmed for, but aren’t limited to, urban pacification. True Robocop fans will instantly recognize Omnicorp as the stand in for Omni Consumer Products, or OCP for short. In the original film, OCP was an evil megacorporation that entered into a contract with the city of Detroit to run its police force. They planned on demolishing “Old Detroit” and replacing it with a utopia called “Delta City.” Omnicorp will undoubtedly play a similar role in the remake. The design of the new ED-209 sticks surprisingly close to that of the original. The only real difference is that it’s more heavily armed. Hopefully, this choice has been made in homage to the original and not out of sheer laziness. 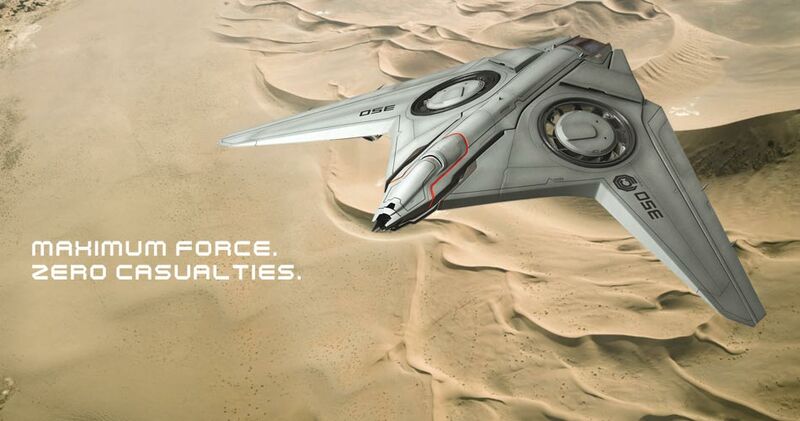 The XT Harrier Drones recall the Aerial Hunter Killers from The Terminator films. It's made quite obvious that the RC2000 is actually Robocop himself. The ad only offers brief glimpses of the title character, as if saving the best surprise for future viral videos. 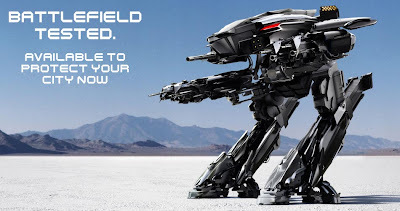 Viral marketing is very much in keeping with the spirit of the Robocop. If given a more sharply satiric bend, “Omnicorp Product Line” could have played after one of the original film’s numerous Media Break news segments. While I truly appreciate the reverence being shown for the original, I do hope that director José Padilha is able to his own unique spin on the material.